British Prime Minister Theresa May was making a last-minute push Monday to win support for her European Union divorce deal, warning opponents that failure to approve would mean a long — and possibly indefinite — delay to Brexit. May's spokesman, James Slack, said Monday that the government would only hold a vote if there is "a realistic prospect of success." May is likely to ask for a delay to Brexit at the Brussels summit. 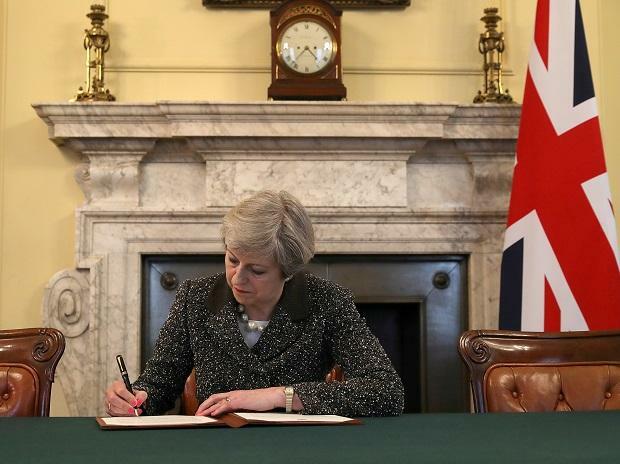 If a deal is approved, she says she will ask the EU to extend the deadline until June 30 so that Parliament has time to approve the necessary legislation. If it isn't, she will have to seek a longer extension that would mean Britain participating in May 23-26 elections for the European Parliament — something the government is keen to avoid. "We have to know what the British want: How long, what is the reason supposed to be, how it should go, what is actually the aim of the extension?" German Foreign Minister Heiko Maas told reporters in Brussels. "The longer it is delayed, the more difficult it will certainly be." Belgian Foreign Minister Didier Reynders agreed, saying: "We are not against an extension in Belgium, but the problem is — to do what?" Opposition to May's deal centres on a measure designed to ensure there is no hard border between the U.K.'s Northern Ireland and EU member Ireland after Brexit. The mechanism, known as the backstop, is a safeguard that would keep the U.K. in a customs union with the EU until a permanent new trading relationship is in place. Brexit supporters in Britain fear the backstop could be used to bind the country to EU regulations indefinitely, and the DUP fears it could lead to a weakening of the bonds between Northern Ireland and the rest of the UK. May said in an article for the Sunday Telegraph that failure to approve the deal meant "we will not leave the EU for many months, if ever." "The idea of the British people going to the polls to elect MEPs (Members of the European Parliament) three years after voting to leave the EU hardly bears thinking about," she wrote. Johnson, a staunch Brexiteer, used his column in the Daily Telegraph to argue that the backstop left the U.K. vulnerable to "an indefinite means of blackmail" by Brussels.